Picnic in Paris like the locals do! A picnic is to Parisians what a baseball game is to Americans. It’s an enjoyable pastime; one best spent on a summer’s day and in good company. With a blanket, a few key ingredients, and a great view, locals and tourists can enjoy the true sense of joie de vivre. 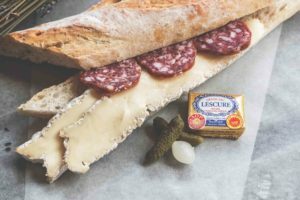 Discover how you can plan your next Parisian picnic with the following guide! Dining al fresco in The City of Light requires a few necessary comforts. Before you run to the nearest market, ensure that you have the tools for a proper picnic. Silverware, plates, cups, a cutting board, and a corkscrew are just a few important items that you will need. A blanket isn’t essential, but it can make the experience all the more enjoyable. Most French picnics contain at least one, if not all, of the following items: bread, meat, cheese, and wine. With a baguette, a few slices of prosciutto, a wheel of camembert, and a bottle of Cabernet, you can enjoy the quintessential Parisian experience! When selecting your meats, cheeses, and wine, take a few things into consideration. If it’s a particularly warm day, steer away from soft cheeses that may melt quickly. You may also want to pack a chilled wine, such as a French Chardonnay. Wash it all down with a bottle of sparkling mineral water, or refill your cup in one of the city’s many public potable water taps! Once you’ve packed your picnic and are ready to enjoy the day, it’s time to find the perfect location. There are so many parks, gardens, and scenic spots throughout the city, so chat amongst your group to determine what’s best for everyone. Along the Seine or Canal Saint Martin offers water views, or enjoy the open spaces and lush grass of Parc de Belleville. A Parisian picnic is all about relaxation and enjoyment, so it’s essential to choose a spot where your group can comfortably spend an entire afternoon. This entry was posted on Wednesday, July 25th, 2018	at 11:30 am	. You can follow any responses to this entry through the RSS 2.0	feed. Both comments and pings are currently closed.